Obama will travel to Israel even if Netanyahu has not completed the job of forming his new coalition, the White House says. U.S. President Barack Obama will travel to Israel this month even if Prime Minister Binyamin Netanyahu has not completed the job of forming his new coalition, the White House said Friday. "We're going," White House spokesman Joshua Earnest said, when asked to comment on media speculation that the prolonged coalition forming process following Israel's elections could cause him to delay the trip. "The formation of the Israeli government is the responsibility of Prime Minister Netanyahu and other senior officials in the Israeli government," Earnest said, according to AFP. "That is not something that the president would interfere with,” he stressed. "The president is primarily going on this trip to accomplish a couple of things -- he is very interested in talking to the Israeli people. "We are also operating at a time when the region, Israel's neighborhood if you will, is undergoing a pretty severe transition. "It is important for the people of Israel to understand that the American people stand with them in that time of crisis and that we are going to be there to protect them," concluded Earnest. Obama is due to travel to Israel at the end of the month on the first trip of his second term, which also includes visits to the Palestinian Authority-assigned areas of Judea and Samaria and Jordan. Reports in Israeli media last week indicated that U.S. officials have told Israel that if there is no new government in place by March 16, Obama will not arrive for his scheduled visit four days later. Netanyahu was unable to form a coalition in the first four weeks given to him by President Shimon Peres to do so, but was granted a two-week extension by Peres last week. However, if Friday’s reports are any indication, Obama’s visit will take place with a new coalition having been formed and a new government having been sworn in. The reports Friday indicated that the Likud is finalizing an agreement with Yesh Atid that will see its chairman MK Yair Lapid be appointed as Finance Minister. Bayit Yehudi chairman MK Naftali Bennett will be appointed as Minister of Industry, Trade and Labor, according to the reported agreement. 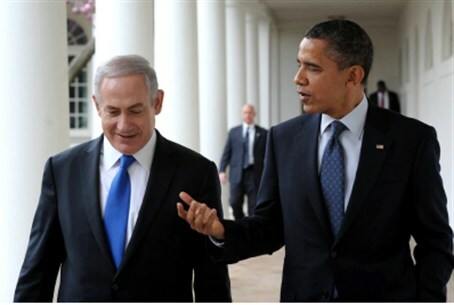 Obama on Thursday signaled there would be no big Middle East peace initiative on the table when he arrives in Israel. The White House had previously taken steps to still rumors that Obama would use the visit to re-launch a U.S.-brokered effort to forge peace between Israel and the Palestinian Authority, following a failed initiative in his first term.